According to Contently, 73% of marketers identified brand awareness as the chief goal of their online content. Of course, this is hardly surprising – if people don’t know about your business, chances of securing their custom are non-existent! 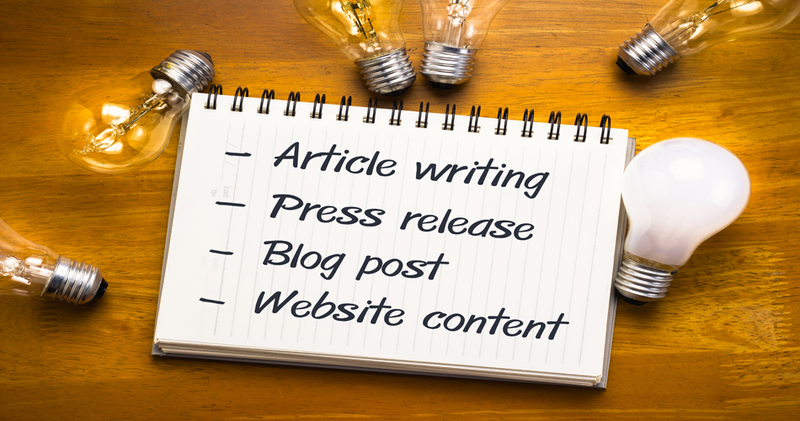 Blogging is a great way to develop brand awareness and fulfil your marketing objectives. 77% of people in the UK read blogs – which means, if you fill your blog content with engaging, relevant content, you should (in theory) be able to build a powerful brand presence online. 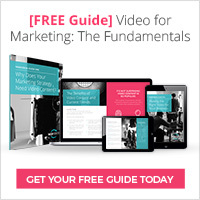 Video content – which should reinforce your key messages and complement the written content. Infographics – which should present complex concepts in a graphic, easy-to-understand format. This makes it instantly more shareable. Downloadable content – Your readers expect to see evidence that you’re an authority voice within your industry. The easiest way to demonstrate this is through downloadable content, such as an eBook. Blogging presents a lot of advantages for your company. It drives people through to your site, encouraging them to make a purchase. Well-created content is likely to be shared on social media, which means more exposure for your brand. Blogging regularly is also great for SEO, as it makes it more likely that you will rank for your most important keywords if you have good quality written content to support them. Higher rankings yield more online awareness of you brand. And of course, by regularly blogging for your business, you’re demonstrating that you’re an expert in the industry, and that you can be trusted. This is vital if you want to convert browsers to active buyers. Consistency. To build trust, it’s important to maintain the same style, tone and voice across all forms of communication – not just your blog, but email content, social media posts and web content. Originality. It’s unlikely that you’ll ever be 100% original – but ripping off content from other blogs won’t help in terms of giving your business credibility. Short, sharp and sweet. Avoid needless waffle and keep to the point. Don’t be afraid to voice opinions – this encourages readers to interact with your content. Shareable. Consider what content is shared online, and bring this ‘viral element’ to your own blog. Visuals keep longer articles interesting, bullet points maintain focus, and quotes provide interest. In short – your job is to keep your customer reading right to the end. Video marketing is an effective way to boost overall marketing results. There’s a reason for this. Humans are visual learners; with 80% of people being able to recall what they see, and only 20% being able to recall what they read. Video is highly visual content, which immediately resonates with your target audience. Additionally, it’s proving to be the more popular form of marketing too. 80% of online visitors will watch a video, while only 20% will read written content in its entirety. It’s also better at boosting click-through rates too. Incorporating video in your email campaigns increases click-throughs to your site by as much as 65%. That’s a big difference! However, whilst video is a powerful form of content marketing, it shouldn’t be the only form you rely upon. Instead, see it as a way to support and enhance your written content. Content marketing involves appealing to your target audience in a way which is normal for them. Social media presents huge opportunities for businesses – with numbers of social media users anticipated to grow to 2.5 billion by 2018. In fact, it’s now the most popular online activity; and users spend about a quarter of their online time on sites such as Facebook, Pinterest and Twitter. These platforms not only allow followers to read your blogs, but ensure your content is shared across a much larger audience. They’re also the place to generate reviews and testimonials, and build your brand reputation. However, in order to enjoy success on social media, it’s imperative to have a consistent presence on all the major social sites, plus a carefully mapped out digital marketing plan. Some social media sites are more suited to video content than others, and it’s important to strike the right balance in your digital marketing campaign. Video tends to be shared more often – according to SEOmoz, they attract 3 times as many inbound links as plain text posts; so it’s worth incorporating video content into your marketing plan. Facebook. More video uploads took place on Facebook than YouTube in 2015. Likewise, video appearances in newsfeeds increased 360% in just one year. Even Facebook themselves state that the most successful posts are visual. Video content generates 100% more engagement than plain text, and is 40 times more likely to be shared. YouTube. YouTube still remains the 2nd largest search engine in the world – with 300 hours of content pushed to the site every minute. It’s especially useful for raising brand awareness on a mass scale. Twitter. This fast-paced platform may not initially seem like a good location for video content – but amazingly, tweets with video links receive 28% more retweets. As you can see – combining video content into your blogging and social media campaign can produce exceptional results. However, it’s important to create videos that appeal directly to your target audience according to their position in their purchase journey; creating brand awareness and increasing conversions. We specialise in video production for businesses – and help you to make videos that are repurposable, cost-effective and designed to generate results. To find out more, simply contact us today.